Dan 11:29 "At the appointed time he will return and come into the South, but this last time it will not turn out the way it did before. Dan 11:34 "Now when they fall they will be granted a little help, and many will join with them in hypocrisy. Dan 11:35 "Some of those who have insight will fall, in order to refine, purge and make them pure until the end time; because it is still to come at the appointed time. 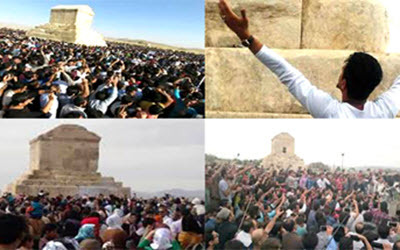 NCRI - The Iranian regime prosecutor in Shiraz (Fars province, southern Iran) announced that the “main elements” of the Cyrus day gathering and demonstration in Pasargadae cultural heritage complex are arrested. He said judicial case is made for these citizens and they will be dealt with “according to necessary judicial regulations.” This judicial authority did not mention the names and number of the arrested people or any more details. It should be mentioned that state-run media of both ruling factions described the popular annual gathering at Pasargadae as a move against the mullahs' regime and called for confrontational measures against such gatherings. 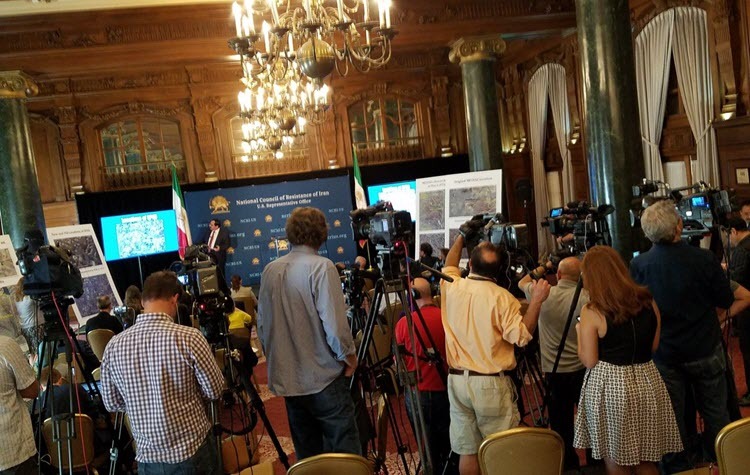 NCRI - In a press conference in Washington, DC on Friday, the National Council of Resistance of Iran revealed that the “nerve center” of the Iranian regime’s nuclear weapons project, responsible for designing a nuclear bomb, has been continuing its work. The engineering unit for the regime’s nuclear weapons program is called the Organization of Defensive Innovation and Research known by its Persian acronym SPND. The information was gathered by the network of the main Iranian opposition movement, the People’s Mojahedin Organization of Iran, through assets within the Islamic Revolutionary Guard Corps (IRGC), the Defense Ministry, and SPND, and so on. It shows that following the establishment of the Joint Comprehensive Plan of Action (JCPOA) in 2015, not only has the unit remained in place and active, it is now clear that in some fields its activities have even expanded. According to the NCRI, the organization is comprised of 7 subdivisions, each of which is carrying out a certain portion of nuclear weapons research. The new information showed that all of SPND’s subdivisions continue their work on the same scale as prior to the 2015 nuclear deal. 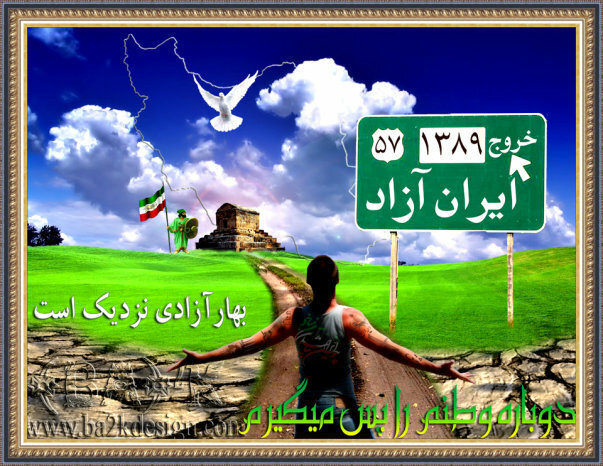 The National Council of Resistance of Iran first revealed the existence of SPND in July 2011 in Washington, DC. Three years later, SPND was placed in the sanctions list by the U.S. Department of State on August 29, 2014. 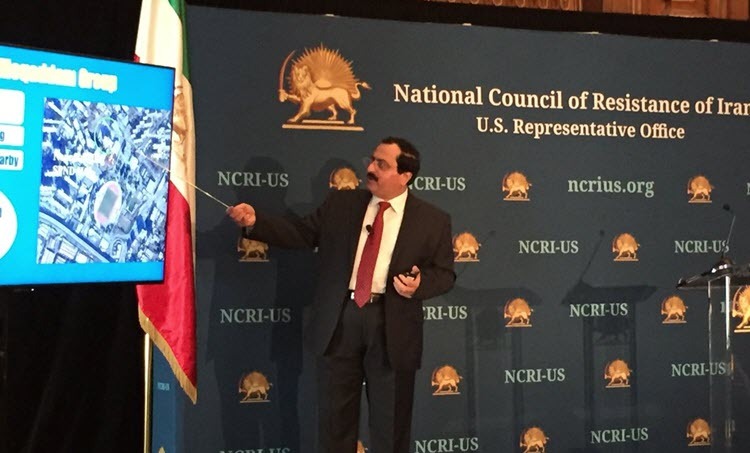 According to Alireza Jafarzadeh, the Deputy Director of the US Representative office of the NCRI, a new location tied to the nuclear weapons project has been exposed, which had been kept a secret from the International Atomic Energy Agency (IAEA) up to this point. Jafarzadeh said two of the seven subdivisions of SPND play the most significant roles: The first, the Center for Research and Expansion of Technologies on Explosions and Impact (METFAZ), works on the trigger and high-impact and non-conventional explosions. The second, Fakhar Moqaddam Group, works on uranium enrichment and enriched uranium. 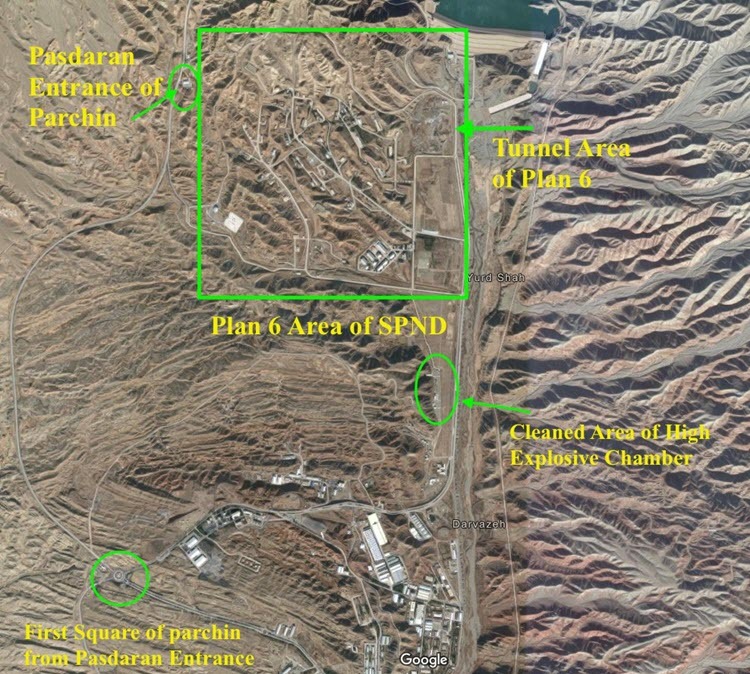 Following the JCPOA, in order to avoid blowing the cover on METFAZ’s activities, a large portion of the activities conducted at METFAZ in Sanjarian, as well as the personnel working at the site, were transferred to the Research Academy situated within Parchin, which is a large military district about 30 miles southeast of Tehran, controlled by the Defense Ministry. 1. As several U.N. Security Council resolutions stated, Iran’s uranium enrichment program needs to be ended completely; the nuclear enrichment program has only one objective and that is to obtain the fissile material needed for the Bomb. 2. The weaponization program must be totally dismantled. There is no reason to maintain SPND, and all its subordinate organizations, including METFAZ. They have no peaceful, energy use whatsoever and, their only function is to facilitate the development of the nuclear bomb. 3. Exerting airtight control over all the aspects of the regime’s nuclear program and permanent, unhindered and immediate access to all sites, above-mentioned locations, and access to, and interviews with, the key nuclear experts, including Mohasen Fakhrizadeh and his subordinates must be conducted immediately. The NCRI is an inclusive and pluralistic parliament-in-exile that has more than 500 members, including representatives of ethnic and religious minorities such as the Kurds, Baluchis, Armenians, Jews and Zoroastrians, representing a broad spectrum of political tendencies in Iran. The NCRI aims to establish a secular democratic republic in Iran, based on the separation of religion and state. Women comprise 50 percent of the Council’s members. There are five organizations represented in the NCRI, including the People’s Mojahedin Organization of Iran (PMOI/MEK), the largest and most popular resistance group in Iran. All members of the Council have one vote. All decisions are adopted by a simple majority. The Council's 25 committees form the basis for a provisional coalition government once the mullahs are toppled. Chairing each committee is a prominent political personality who is an expert in the field. The provisional government will be in power for only six months and its main responsibility is to hold free and fair elections for a National Legislative and Constituent Assembly and to transfer power to the representatives of the people of Iran. Maryam Rajavi is the President-elect of the NCRI for the transitional period. Her mandate is to oversee the peaceful transfer of power to the Iranian people following the regime's overthrow. In November 2002, the NCRI adopted a plan to form the National Solidarity Front to overthrow the religious dictatorship ruling Iran. 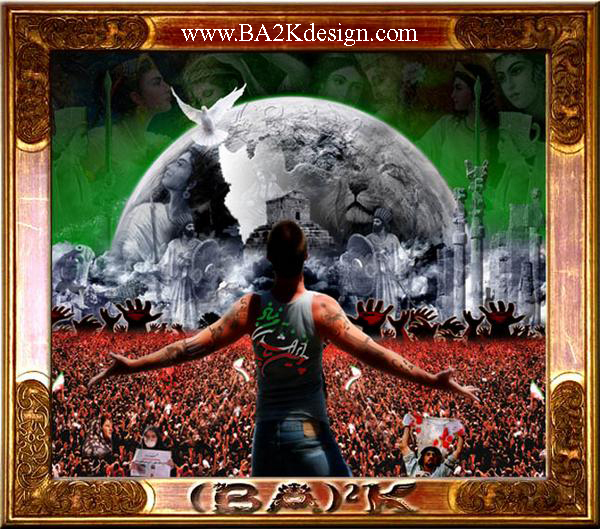 The front will encompass all Iranians who are campaigning for regime change and establishment of a secular republic. Mrs. Rajavi, described the Front as "a reflection of the most profound democratic yearnings of all the people of Iran, regardless of ideology, belief, religion and ethnicity that transcends all partisan and political interests." She said the Front "embodies the unshakable resolve of the Iranian people to overthrow the mullahs' inhuman regime." The NCRI is committed to abolish the death penalty and adheres to the Universal Declaration of Human Rights and relevant covenants, including freedom of association, freedom of thought and expression, media, political parties, trade unions, Councils, religions and denominations, freedom of profession, and prevention of any violation of individual and social rights and freedoms. The Council accepts national capitalism and the market economy, private ownership and investment. It emphasizes the need to utilize the latest scientific and technological achievements and views relations with the industrialized world as necessary to reconstruct Iran's economy. The Council’s foreign policy is based on independence, respect for the United Nations Charter and international conventions and treaties, good neighborliness, international and regional cooperation and non-interference in the internal affairs of other countries. The NCRI supports the Middle East peace process and is committed to maintaining and protecting peace and tranquility in the region and condemns any aggression and expansionism. The Council opposes nuclear proliferation and the production of weapons of mass destruction and ballistic missiles. Dan 8:2 I looked in the vision, and while I was looking I was in the citadel of Susa, which is in the province of Elam; and I looked in the vision and I myself was beside the Ulai Canal. Dan 8:3 Then I lifted my eyes and looked, and behold, a ram which had two horns was standing in front of the canal. Now the two horns were long, but one was longer than the other, with the longer one coming up last. Dan 8:4 I saw the ram butting westward, northward, and southward, and no other beasts could stand before him nor was there anyone to rescue from his power, but he did as he pleased and magnified himself. Dan 8:5 While I was observing, behold, a male goat was coming from the west over the surface of the whole earth without touching the ground; and the goat had a conspicuous horn between his eyes. Dan 8:6 He came up to the ram that had the two horns, which I had seen standing in front of the canal, and rushed at him in his mighty wrath. Dan 8:7 I saw him come beside the ram, and he was enraged at him; and he struck the ram and shattered his two horns, and the ram had no strength to withstand him. So he hurled him to the ground and trampled on him, and there was none to rescue the ram from his power. Dan 8:8 Then the male goat magnified himself exceedingly. But as soon as he was mighty, the large horn was broken; and in its place there came up four conspicuous horns toward the four winds of heaven. Dan 8:9 Out of one of them came forth a rather small horn which grew exceedingly great toward the south, toward the east, and toward the Beautiful Land. Dan 8:11 It even magnified itself to be equal with the Commander of the host; and it removed the regular sacrifice from Him, and the place of His sanctuary was thrown down. Dan 8:12 And on account of transgression the host will be given over to the horn along with the regular sacrifice; and it will fling truth to the ground and perform its will and prosper. Dan 8:13 Then I heard a holy one speaking, and another holy one said to that particular one who was speaking, "How long will the vision about the regular sacrifice apply, while the transgression causes horror, so as to allow both the holy place and the host to be trampled?" 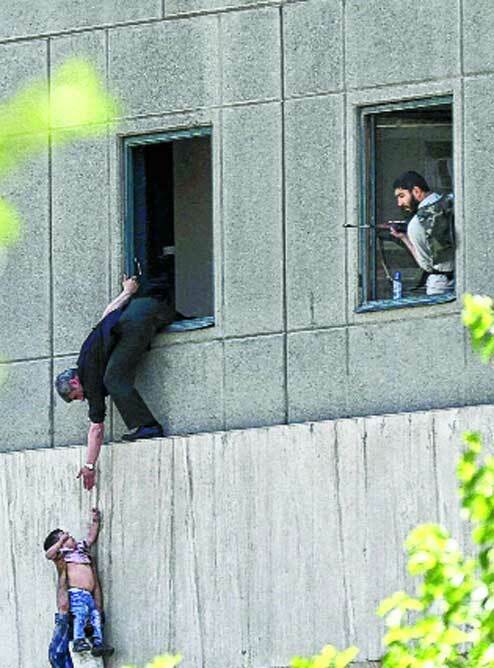 June 7: Suicide bombers and gunmen attacked Iran's parliament and the mausoleum of Ayatollah Ruhollah Khomeini in Tehran on Wednesday morning, killing at least 13 people in twin assaults on two of the Islamic Republic's most potent symbols. The Islamic State immediately claimed responsibility: if true, the attacks would be the terrorist group's first major assault within Iran's borders. Iran is one of the powers leading the fight against IS militants in neighbouring Iraq and, beyond that, Syria. But Iran's Revolutionary Guards blamed regional rival Saudi Arabia. "This terrorist attack happened only a week after the meeting between the US president (Donald Trump) and the (Saudi) backward leaders who support terrorists," a Guards statement said. Saudi Arabia denied any involvement. The attack came days after Riyadh and other Sunni Muslim powers cut ties with Qatar, accusing it of backing Tehran and militant groups. Local news agencies reported that one assailant at the mausoleum was a woman, who blew herself up, while another took cyanide and died. All of the assailants, some dressed in the flowing black chador robes of Iranian women, were shot dead or blew themselves up. Security guards, members of the Revolutionary Guard and a gardener at the shrine were among the 13 people killed. At least 42 people were injured. The IS released a video online during the assault showing the body of one of the victims, with one of the attackers saying in Arabic: "Do you think we will leave? We will remain, God willing." "We will remain" is a common IS slogan - one that has taken on a new urgency as the group loses ground in Iraq and Syria. Foreign minister Sushma Swaraj communicated India's condemnation of the terror attacks in a pre-arranged telephone conversation with her Iran counterpart Javad Zarif. TEHERAN Gunmen and suicide bombers stormed Iran's Parliament and the shrine of its revolutionary leader yesterday, killing 12 people in the country's first attacks that was claimed by the Islamic State in Iraq and Syria (ISIS). ISIS released a video of the attackers from inside the building via its Amaq propaganda agency - a rare claim of responsibility while an attack was still going on. Police said all the attackers had been killed by around 3pm (6.30pm, Singapore time), some five hours after it started. The Sunni jihadists of ISIS consider Shiite Iran to be apostates, and Teheran is deeply involved in fighting the group in both Syria and Iraq. The assaults began mid-morning when four gunmen burst into the Parliament complex in the centre of Teheran, killing a security guard and another person, according to ISNA news agency. An interior ministry official said they were dressed as women and entered through the visitors' entrance. Iran's emergency services said a total of 12 people were killed and 39 wounded in the two attacks. A picture on social media showed police helping staff members escape through windows. Large crowds gathered around cordons to watch as police struggled to disperse them. Speaker Ali Larijani dismissed the attacks, saying they were a "trivial matter" and that security forces were dealing with them. An official at Khomeini's mausoleum in south Teheran said "three or four" people had entered via the western entrance and opened fire, according to Fars news agency. The intelligence ministry said there had been a third "terrorist" team that was neutralised before the attacks started. Interior Minister Abdolrahman Fazli told ISNA he had convened a special meeting of the country's security council. Jihadist groups have clashed frequently with security forces along Iran's borders with Iraq and Afghanistan, but the country has largely escaped attacks within its urban centres. The intelligence ministry said last June that it had foiled a plot to carry out multiple bomb attacks in Teheran and around the country. ISIS published a rare video in Persian in March, warning that it "will conquer Iran and restore it to the Sunni Muslim nation as it was before". Iran, the predominant Shiite power, has been helping both Iraq and President Bashar Al-Assad's regime in Syria to battle ISIS. TEHERAN The five men who carried out twin attacks in Teheran were Iranians who joined the Islamic State in Iraq and Syria (ISIS) before returning last summer, the intelligence ministry said yesterday. "The five known terrorists... after joining ISIS, left the country and participated in crimes carried out by this terrorist group in Mosul andRaqqa," the ministry said in a statement. The statement indicated that only five people carried out Wednesday's twin attacks, rather than six originally reported. The ministry released images and the first names of the dead attackers, who killed 17 people and wounded dozens in gun and bomb assaults on Teheran's parliamentary complex and the shrine of revolutionary founder Ayatollah Ruhollah Khomeini. It said the five men were part of a network that entered Iran in July-August last year under the leadership of "high-ranking ISIS commander" Abu Aisha and that they "intended to carry out terrorist operations in religious cities." Abu Aisha was killed and the network forced to flee the country, the statement said. 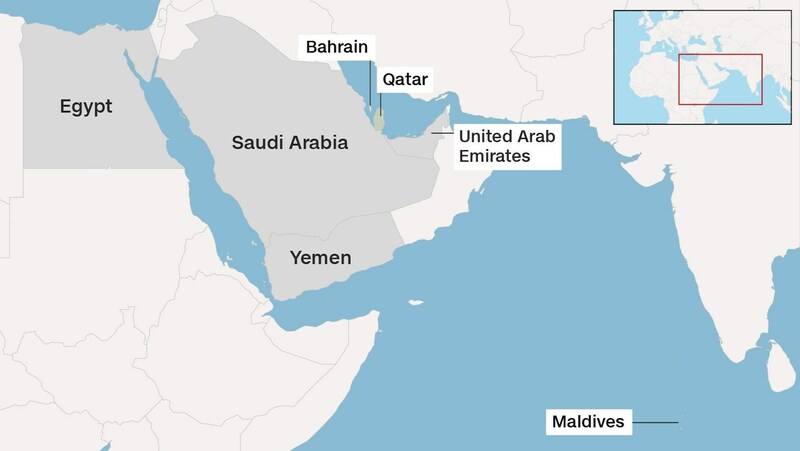 Saudi Arabia, the United Arab Emirates and Bahrain have led a dramatic move to cut off diplomatic relations with Qatar, host to one of the largest US military bases in the Middle East. (CNN) -- Let's try to work this out. Saudi Arabia and the United Arab Emirates (Sunni, US allies, conservative monarchies) lead a campaign to isolate neighboring Qatar (Sunni, US ally, conservative monarchy.) The charge: that Qatar "embraces various terrorist and sectarian groups aimed at destabilizing the region." At the same time, just to complicate things, President Donald Trump appears to throw in his lot in with Saudi Arabia, tweeting that he hopes Qatar's isolation may hasten "the beginning of the end to the horror of terrorism!" This even though a large US air base hosted by Qatar is a hub in the aerial war against ISIS. And then ISIS claims to carry out terror attacks that kill 12 people in Tehran. And Iran's Revolutionary Guards blame the Saudis. None of it seems to make sense. But all these events can be seen through the prism of a much larger struggle - about regional superiority, the war against terrorism and sectarian distrust between Sunni and Shia followers of Islam. And the main belligerents: Iran and Saudi Arabia. On the face of it, for Riyadh and friends to place a fellow member of the Gulf Cooperation Council under siege is odd if their real enemy is Iran. But Saudi anger, shared by the UAE, Jordan and Egypt, is directed at Qatar's mercurial and independent foreign policy, which includes cordial relations with the Islamic republic across the water. Why should Qatar even want to get on with Iran? In part, it's gas. The two countries share a huge field under the Persian Gulf. Kuwait -- which is now trying to mediate in the Arabian bust-up, also shares oil resources with Iran. The Saudis and their allies in the Emirates also see Qatar as promiscuous: it has flirted with Israel, embraced the radical Muslim Brotherhood and offers shelter to the radical Palestinian group Hamas, all while using the pan-Arab reach of the al Jazeera news network to convey its perspective. There is certainly more than an idiosyncratic streak to the al-Thani dynasty in Qatar. To the Saudis and the Egyptians -- and, ironically even the Israelis -- the Muslim Brotherhood is inextricably linked to Hamas -- and even al Qaeda. And they see radical elements in Iran as keeping these militant Sunni groups alive -- in a cynical Faustian bargain -- even though Iran is Shia. Saudi officials recall bitterly how Iran provided senior al Qaeda figures shelter after 9/11, even as the terror group launched attacks across the kingdom. One former member of al Qaeda, who was close to several senior figures in the group before 9/11, told CNN that many Muslims believe they are in the middle of a generational conflict for the soul of Islam. It's a specter that's haunted Arab regimes for decades, since the overthrow of the Shah of Iran in 1980. Former President Hosni Mubarak of Egypt spoke a decade ago of "Tehran's hand moving with ease throughout the region, from the Gulf to Morocco," according to US diplomatic cables at the time. This confrontation has deepened with the Syrian civil war. The rise of ISIS and the prominent role of Iran -- in both Iraq and Syria -- has redrawn the balance of power in the Middle East. Jordan's top military officer, Gen. Mahmoud Freihat, said recently that Iran was trying to carve out a "land belt" between its territory and Lebanon -- right the way across Iraq and Syria, partly motivated by a very real fear of ISIS. Just last week, pro-Iranian militia seized a town (Baaj) held by ISIS just inside Iraq, while their comrades on the other side of Iraq's border with Syria tried to attack a US base (Al Tanf) supporting moderate Sunni rebels. The awful war and humanitarian catastrophe in Yemen is another example of this larger struggle. Once a country where sectarian identity was less important than left and right, its Shia minority -- the Houthis -- are clinging to power in one part of the country, under bombardment by the UAE and Saudi Arabia, while al Qaeda prospers in another. The Saudis, predictably, accuse Iran of arming the Houthis; Iran, predictably, denies the charge. But why has this long-simmering animosity now burst into the open? First, according to some reports, Saudi Arabia was infuriated by a complicated ransom deal Qatar did in April to secure the release of nearly 30 prominent Qatari citizens held in Iraq. The terms of that deal are unknown, but both Iran and jihadist groups in Syria are reported to have been beneficiaries. Iraqi Prime Minister Haider al-Abadi said suitcases containing hundreds of millions of dollars were seized from a private Qatari jet in Baghdad. Qatar's foreign minister insisted his government "did not deal with armed groups outside the authority of the (Iraqi) state;" Riyadh didn't believe him. Then came the infamous alleged hack of the Qatari news agency on May 23, and the planting of a report quoting the Emir as saying: "There is no wisdom in harboring hostility towards Iran." Saudi and UAE media went to town with the reports. But part of the answer may lie a hemisphere away in Washington. The Saudis didn't like or trust the Obama administration, especially after it jettisoned their good ally Mubarak in Egypt (2011) and made a nuclear deal with Iran (2015). There was a sense that as the US moved toward energy independence, it would care less about the Gulf. So Riyadh's younger generation of decision-makers set out on a more assertive foreign policy, which included putting Qatar in its place. To some analysts, President Trump's recent visit to Saudi Arabia only encouraged this boldness -- against Qatar and Iran. "His open embrace of the more hard-line factions in the Kingdom sent a signal to Tehran that regardless of its policies, the United States wouldn't be responsive to changes in Iran," such as the re-election of President Hassan Rouhani, say Dina Esfandiary and Ariane M. Tabatabai at Foreign Affairs magazine. While in Riyadh, Trump told a meeting of Arab heads of state that Iran was the chief source of instability in the region, providing terror groups with "safe harbor, financial backing, and the social standing needed for recruitment." Which brings us to Wednesday's terror attack in Tehran. For ISIS, which claimed responsibility in a statement and video, it's a symbolic strike at the heart of "Safavid" (derogatory term for Iranian) darkness. For its part, Iran's Revolutionary Guards Corps said the attack "was perpetrated soon after the meeting of the US President with the heads of one of the reactionary regional states that has always supported "Takfiri' terrorists," aka Saudi Arabia. And so a little more fuel is added to a fire well set.